Our ‘Top Pick’ this week has just got to be the Kamalaya Koh Samui. If you are yet to hear of this fabulous resort, you are in for a treat! Where is it? Located in Koh Samui, known as the ‘island of coconuts’ it is the third largest of the Thai islands. South of Bangkok it has become a favourite tourist destination thanks to charming Thai and Chinese temples, lush coconut groves, idyllic beachfront resorts, and stunning beaches. Rapidly becoming the Spa capital of Thailand it can be easily reached from Bangkok, Phuket, Singapore, Hong Kong and Kuala Lumpur. About the resort; The Kamalaya is an award winning Wellness Sanctuary and Holistic Spa resort where you can experience a life enriching healthy holiday. You can choose from a variety of wellness programs offering solutions to stress, promoting a healthy lifestyle, yoga, weight loss, sleep enhancement and more. –Kamalaya’s Introduction to Detox. Enjoy delicious and healthy detox cuisine as well as holistic therapies. Perfect for first timers! 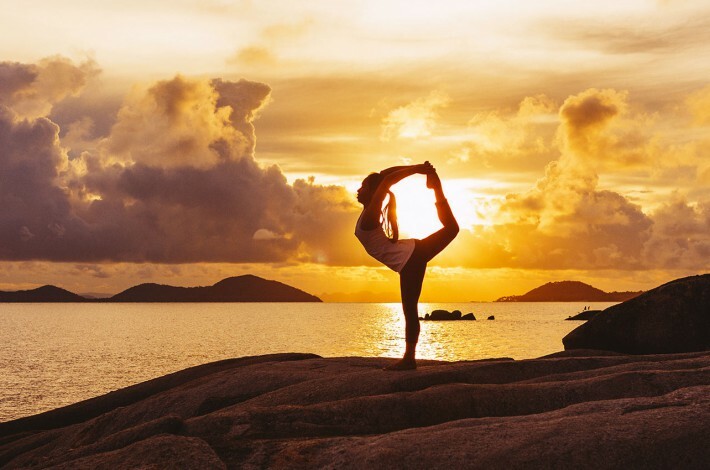 – Kamalaya’s Yoga Synergy. This package includes private 1-1 Yoga and fitness sessions, as well as complementary therapies including Ayurveda. –Kamalaya’s Ideal Weight & Healthy Lifestyle. Made to help identify areas of physical imbalance this program helps you in the direction of finding your optimal weight, while achieving a healthy balanced lifestyle. Rooms; Choose from cosy hillside rooms nestled amongst magnificent boulders and trees. For the ultimate in luxury a Superior Sea View Suite is the one for you – situated on three levels! Sit back, relax, and enjoy breath taking sea views from your large open balcony. Activities; With everything from Pilates to cooking classes, you will quite literally be spoilt for choice! Working closely with The Kamalaya we can offer our guests staying 7 nights or more a fabulous complimentary spa treatment! Head on over to our website here <http://www.sanctuaryspaholidays.co.uk/kamalaya-wellness-resort-koh-samui> for more information. << Sanctuary Spa Holidays Top 10 ways to detox..